Health and Earth Friendly Solutions for Home and Business Decorative concrete. 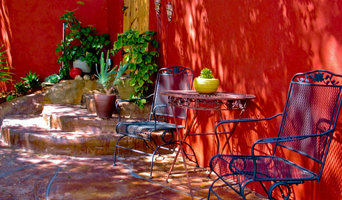 Artisan concrete staining, Healthy wall coatings. Artisan painting. Clay plaster, clay paint, solvent free paint, milk paint, chalk paint. Free color design consultations. 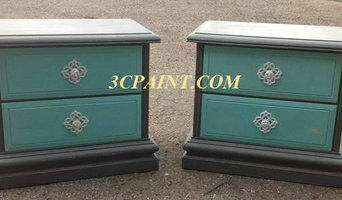 Chateau Chic Chalk Furniture Paint is developed by a family of furniture painters. After 25 years of painting our furniture for our own stores and our homes, we determined it was time to develop our own paint. With Zero VOC and Low Low Odor, you can now paint indoors. No need to move that dresser to the garage or out on the driveway. And with little or no sanding or prep work required, choosing Chateau Chic Chalk Furniture Paint to sell in your store becomes an easy choice. The first step to becoming a retailer for 3cpaint, is to tell us where your are located and the type of store you operate. Territories are limited to one Chateau Chic Paint retailer in any one territory. Send us your information today. We promise to get back to you within 2 business days. At Browder Painting Company, we want you to have the best possible experience with your next painting project. We stand committed to starting the project and finishing the project. Our professional San Luis Obispo painting services include Residential Painting, Commercial Painting, Interior Painting, Exterior Painting, Faux Finishes, Mildew Removal, Deck & Cabinet Refinishing, Waterproofing, and High Pressure Washing. Rogall Painting is a hardworking, family-owned painting and construction company. For over a decade we have enjoyed the privilege of serving a wide variety of home and business owners in our neighborhoods. Our philosophy is simple: success comes from providing consistent, high-quality services, and from making sure that our clients are glad they chose us. Advance Painting is a full service paint contracting company serving the Central Coast, from the North County to Lompoc. Since 1982, we have provided the best in exterior and interior painting, wood and cabinet stain and finish, and exterior surface maintenance, at competitive prices. 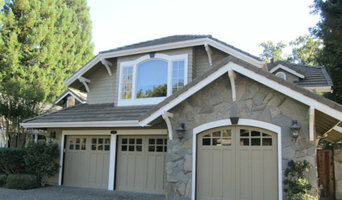 California Joe's Paint Co. is a Central Coast based company that provides expert painting services. 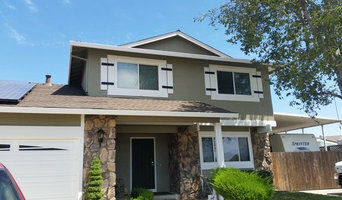 Trombley Painting Company is one of the leading painting contractors on California’s Central Coast serving San Luis Obispo and Santa Barbara Counties. Founded in 1988 by Steve Trombley, they have become a fixture in the community by providing consistent value to their customers; offering professional painting services ranging from home, commercial, and industrial applications. The company’s longstanding reputation of excellence comes from their dedication to customer service and top-notch quality. Whitfield Painting has served in San Luis Obispo County since 1989. We are an experienced and fully insured painting company focused on providing our clients the most professional painting service possible. Our services include all aspects of painting from small jobs to entire jobs including power washing, dry rot repair, dry wall repairs, handy man work, and color consultation. The painters on our crew are of the highest quality, and take great pride in their work. Your home is your most valuable asset and our painting will make it look great and keep it protected. Please check out the tabs for references and our process. I hope to be of service to you. I am someone who loves what I do and happen to be good at it! We provide interior and exterior painting services, as well as cabinet painting, deck painting & staining, and garage floor refinishing. Give us a call today to see how we can help with your next project. Our business is our livelihood but it is also so much more. Picture Perfect Painting was started to fill in a void in the current market and to make a business that people can place their trust in. Over the years we have never lost our commitment to our clients and that is what has allowed us to succeed in a very competitive industry. The employees of Picture Perfect Painting stand committed to our purpose and will provide the best service! Flickinger Painting Inc is a family operated business working out of Atascadero since 2000. Our prices are very affordable and most important, we use the highest quality products available. We service the entire San Luis Obispo County area and have received many referrals for our outstanding work. Some of our specialties include: Interior And Exterior Painting, Drywall Installation And Repair, Pop Corn Ceiling Removal, Faux Finishes, Power Washing and Spraying to name a few! At Stephen James Painting we pride ourselves in quality workmanship and professional service. From start to final walk through, we will take every step to ensure your painting experience is as easy and enjoyable as possible. What jobs do San Luis Obispo, CA painters and decorators do? As well as plain painting jobs, many San Luis Obispo, CA painters and decorators will take on other jobs as well. If you’re dealing with an old or run-down property and you need the walls completely stripped down before painting, this could be tackled by a San Luis Obispo, CA painter decorator. Some professionals will also carry out repairs on paint work and walls, from small cracks and holes to sometimes larger repairs like fixing window panes, doorframes and sills. Some painters and decorators may specialise in certain kinds of painting, such as window exteriors, doors, gates and fences. And finally, you may find some contractors are very good at the finishing touches, not only neatly finishing paint work but also installing beautiful wallpaper, wall stickers, painting intricate or fiddly features or even painting patterns and murals on your walls. Why should I hire a painter and decorator in San Luis Obispo, CA rather than doing it myself? Even if you are planning on going very simple with your walls, perhaps a crisp white or grey, then using San Luis Obispo, CA painters and decorators to finish the job to a high standard is still advisable. Not only will it mean your painted walls will be clean and precise, but it will also save you the time and effort of painting and decorating yourself. House painters in San Luis Obispo, CA will be quick and efficient at painting your rooms, and if you have a tricky outside wall or space that needs painting, specialist exterior painters are the professionals for the job. Search for San Luis Obispo, CA painters and decorators on Houzz to see past painting and decorating projects and reviews from clients to see if there’s a professional that can help you with your project. Even if a local painter decorator doesn’t specialise in your kind of project, ask them first, and they may know other professionals that can help, such as wallpaper specialists, paint companies or wall sticker or mural installers. Find a painter decorator on Houzz. 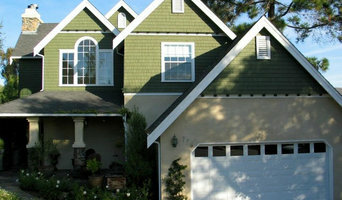 Narrow your search in the Professionals section of the website to San Luis Obispo, CA painter or decorator. You can also look through San Luis Obispo, CA photos to find examples of painting and decorating jobs that you like, then contact the professional who worked on them.